I’ve been super excited all week because we bought a Ninja blender/processor last weekend. It even mixes dough so brace yourselves for the food posts! It’s kind of funny the things I get excited about now that I’m an adult but whatever now I can make more of my own food. It’ll be cheaper (maybe) and healthier! 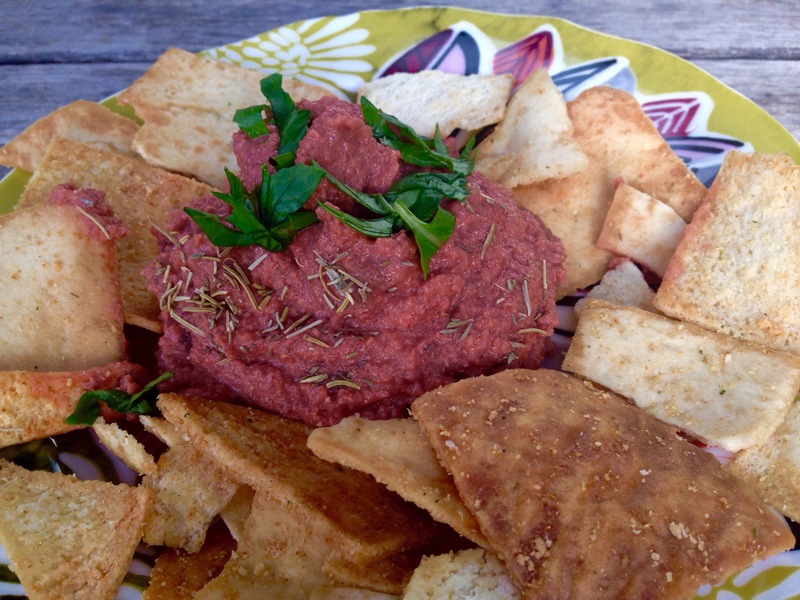 The first recipe I tried out was for this beet hummus. Now if you don’t like beets this probably won’t be for you, but if your like me and love them then I’ve this a try. It’s fast and easy! Someone got into the pita chips before the hummus was made…spoiler, it was me! Now you don’t have to have a fancy pants blender for this, just a regular blender or food processor will do if it’s big enough. 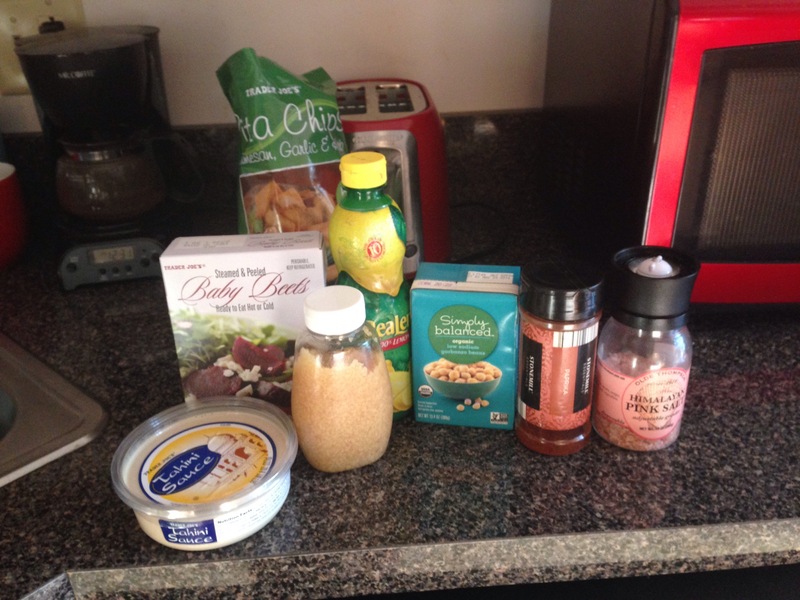 Just combine all ingredients and blend till smooth. Now mine was still a little chunky which is fine, but if you want it perfectly smooth you might want to blend the chickpeas before adding the rest of the ingredients. It only takes a few minutes and is delicious! 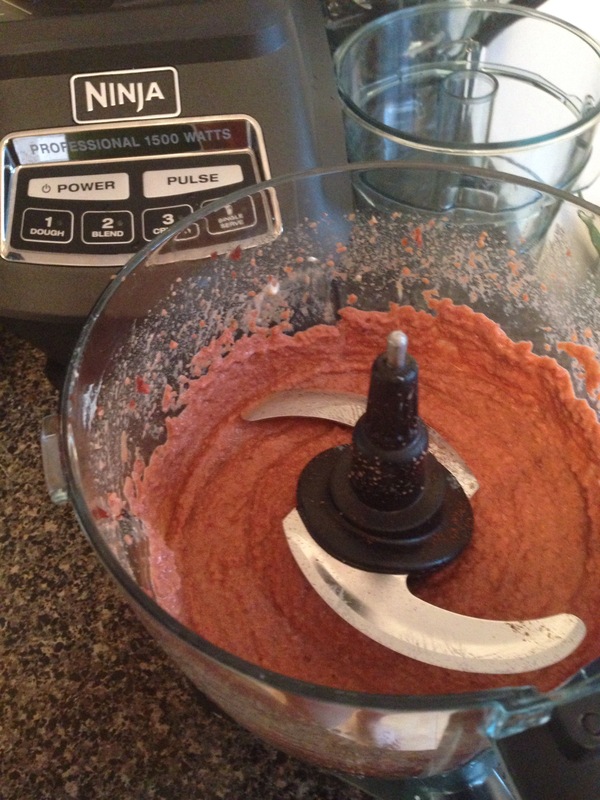 Sometimes I buy beet hummus from While foods but now I can make my own and it makes a ton! Also I can control what’s inside so I don’t have to worry about any preservatives or chemicals. The original recipie that I looked at was from The Year in Food.